Getting rid of sentimental items can be one of the hardest parts of decluttering your home. Many of our possessions have sentimental value or are connected to a memory. It’s common to tuck these items away to preserve those feelings, but over time, these emotional touchstones can become burdens instead of loveable memories. When you’re decluttering your home, tackle your sentimental items last. 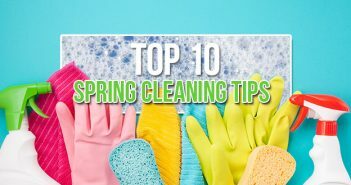 Sorting through them will take more time and be tougher than other decluttering projects. 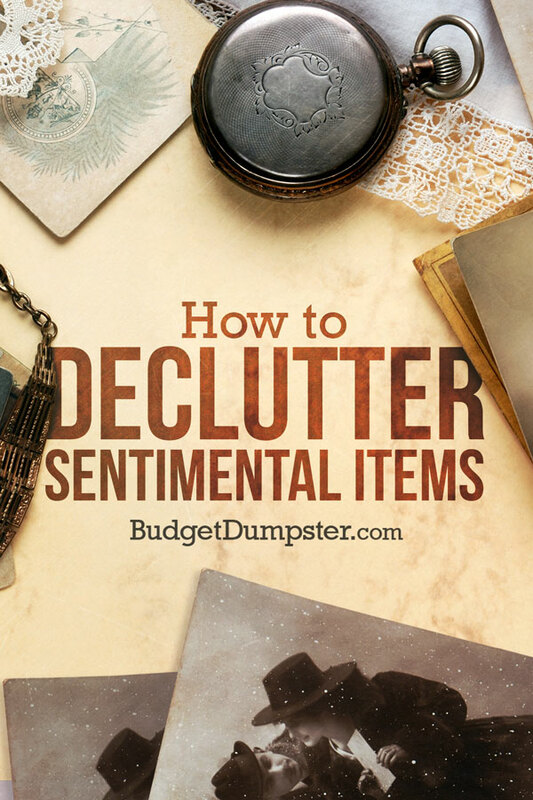 Keep reading to learn tips and strategies to make letting go of sentimental clutter easier. Sentimental items include anything that brings up emotions or memories. Photos, yearbooks, baby clothes, family heirlooms, gifts and travel souvenirs can all fall into this category. Before starting this project, complete these steps to make the work a little easier. Choose a small to medium sized keepsake box. Use this box to keep sentimental items moving forward. Consider a decorative box that can make your keepsakes part of your home décor and easily accessible. Set a goal. It can be getting rid of everything that doesn’t fit in your designated box or sorting through four boxes of memorabilia. This will help you stay focused when your emotional reactions and reminiscing start to distract you from the task at hand. Ask for help. This is very important if you are tackling a large project, like organizing a deceased loved one’s home. Consider asking friends and family members or hiring a professional organizer to help. Decide how much time you’re spending on this project. Break down that amount of time into sessions that are a maximum of three hours long. Spending more than three hours a day sorting through sentimental clutter will be physically and emotionally exhausting. As you begin to sort through memorabilia, ask yourself a number of questions to get to the real emotions behind each item. 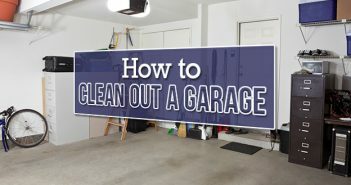 This will help you decide what you should keep, what you should get rid of and why. What’s significant about the item? If the item brings you closer to a memory of joy or happiness, this could be a good reason to keep it. If holding a rock from a beach transports you back to your honeymoon, keep it. If you don’t remember why you picked up the rock or if it has lost its meaning, toss it. Can you use or display the item? Do you want to? If your first reaction is to keep something, pause to think about how you will use it or how it could be displayed to honor the memory it evokes. If you won’t use it, or don’t actually like it despite its sentimental value, consider getting rid of it. Are you only keeping it because you think you should? This happens with gifts and family heirlooms. You keep an item because it would be rude or mean to discard it but you don’t actually want it or like it. If you have any guilt or other negative emotion connected to an item, do not keep it. Sentimental items to keep include things that are significant, can be used or displayed and do not bring up any guilt or other negative emotions. If this is the case, set the item in the keep pile. If something has meaning, but will continue to just live in a box and be a burden, set it in the discard pile. Keeping your favorite items will make getting rid of other items easier. Your goal shouldn’t be to get rid of everything; your goal is to reduce the amount of stuff you have. Getting rid of anything is a win. Watching your discard pile grow can be tough. As you say goodbye to items, try to preserve the memory or emotion behind the item. Write a description of the item and the memory it invokes. Pass the item along to a family member who actually wants it. Donate it to a charity where it will go to a person in need. Turn old clothes or fabrics into something useful, like a quilt. Photos are one of the most common sentimental items, and usually they are just taking up space. 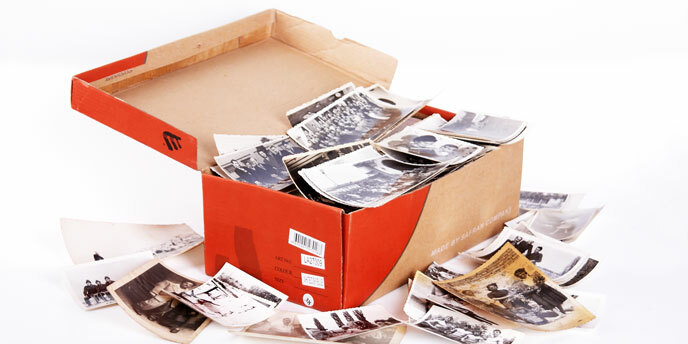 Having boxes and boxes of old photos you never look at is not a great way to honor your memories, but throwing away photos can feel like tossing your own memories. Find the best photo in a group and toss the rest. Toss any pictures of people you don’t immediately recognize. Get rid of any duplicates. Throw away any photos you don’t remember or don’t mean anything. Toss pictures of things you still own or photos that can be recreated. Make a pile to be digitized and then tossed. With the photos you choose to keep, try to use them rather than leaving them in boxes. Put photos in albums, scrapbooks or frames so you can regularly feel the joy they inspire. Feel your feelings. Don’t rush through just to get the project done. You may have regrets later about what you didn’t keep. Give yourself plenty of time and be patient. Letting go of sentimental clutter is hard. Allow yourself to keep things. Have you started sorting through your keepsakes and mementos? Tell us about your sentimental decluttering project in the comments below.